With over 23 years of experience in the equity markets, John Brown is a managing director at Merrill Lynch. He is the global head of Global Equity Financing’s funding business including structured equity financing, securities lending and balance sheet management function for the Global Equities Trading department. 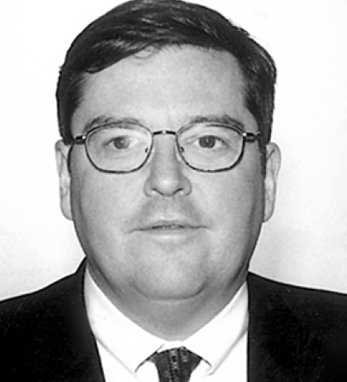 Previously Brown served as managing director of the Global Convertible Product Group from 1990 to 1995. He was the head of the convertibles businesses at UBS Securities and SG Cowen Securities from 1995 to 2001 at their respective businesses. He rejoined Merrill Lynch in Equity Trading in 2001. He has been married to his wife Pat for 20 years and they have five children: Caitlin, Erin, Tom, Caroline and Kevin. He also has deep Irish connections in Co. Wexford, where his mother was born, and to Co. Mayo on his father’s side. In 1998 he and his brother Tom purchased his mother’s home in Enniscorthy. Being very active in various charities, Brown works for the NYPD Boxing Association on September 11 related fundraising, St. Christopher Ottile, St. Francis Prep Principle’s Cabinet.